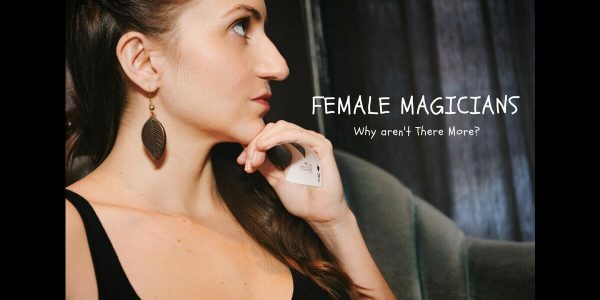 “Where are all the female magicians?” Without a doubt, this is the question I’ve received most often throughout my career as a magician. Since writing this for the Browser’s Bash Magic Convention, I’ve been asked if I’d ever release it to the public. And don’t you know – you’ve got to give the people what they want! Though I wouldn’t describe myself as ‘ready’ for the inevitable haters and the trolls, it’s through disagreements that growth often happens… and I’m ready for my comfort zone to grow a little larger. My hope is that this video inspires discussions and debates about how to further support women not just in magic, but in all areas of life. And if just one young lady sees this and feels empowered to chase her dreams – whatever they may be – then I’ll have done my job. CC: What inspired you to write, perform and produce this piece? RR: Eighteen years of being asked ‘why aren’t there more women in magic’! I’ve been asked this question at nearly every show I’ve performed over the last 18 years by laymen and magicians alike. So, when I was asked to perform at the third annual Browser’s Bash and being the only solo female performer on the bill, I thought: “What can I share with the attendees they don’t already know and haven’t already seen?” And that was actually the opening line of the original piece. CC: Are there many other differences between the original piece and the finished product? RR: Absolutely. The original was 10 minutes and performed live on stage with no background music, nothing on stage with me but a microphone. The first video edit was much the same. After screening it with a few other artists, I realized that at that length, it would hold only the most interested individuals’ attention and that it needed to be cut shorter. After painstakingly cutting out 3.5 minutes of footage with my amazing, talented, patient, wonderful, patient, calm, amazing and patient videographer and editor Jason D’Souza of Noodle Boys Productions (who filmed this piece along with videographer Sura Mallouh), I realized that some ambient music may add texture to the piece that it wouldn’t have otherwise. Knowing the different moods throughout the video, I wanted the music to be custom made, so I reached out to professional musician (and former magic camp camper!) Josh Cook of Seizures Palace. I had the pleasure of sitting down with him while he worked on the music; watching the music come together was one of my favorite parts of this process! Shortening the video and adding music were definitely steps in the right direction… I just hope the majority of people will watch until the end, 6 minutes is still a big ask these days. CC: How/why did you decide on this format? Is it spoken word? Slam poetry? A mix? RR: The format was very organic to my process. I began compiling the information I wanted to share and realized fairly quickly that this may be an opportunity to write and perform a spoken word piece – something that I’d always wanted to do. 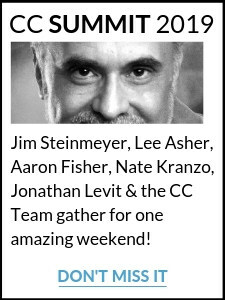 With only a 10-minute time slot at the Browser’s Bash, and a ton of information to share, it seemed this would be the way to get the most information communicated and that if I did it well, people may actually listen. CC: What do you hope to accomplish with the release of this video? RR: The intention behind this video is to share information on the subject many don’t know, get conversations started and have something I can point you when I receive this question the future. At shows, I might have a couple of minutes to briefly explain it – but that doesn’t really answer the question fully and sometimes, because of the many various contributing factors, it may not even make sense to folks who don’t already have a background in the subject. Now I have a video those who are interested can watch to get a more thorough answer. Find out more about Rosemary Reid at her website here. Why do you think there aren’t more female magicians?